"It is called a “Kinetic Wall,” and it will essentially be an eight-story-tall public art installation. Seen from the outside, the installation will look like a vertical body of water, complete with gentle waves and natural movement. From the inside of the building, the movement of the facade will create beautiful patterns in sunlight on the interior surfaces. 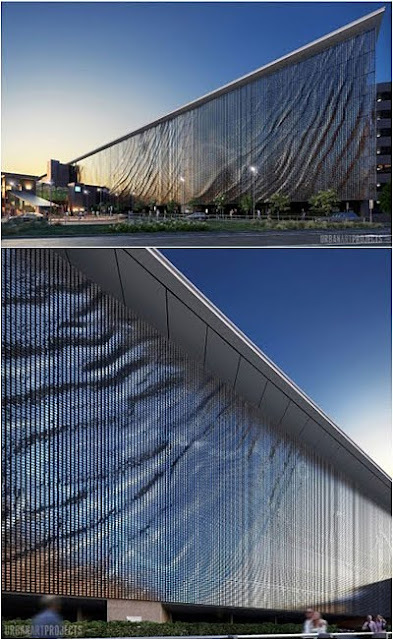 The effect is created with 250,000 aluminum panels which are loosely suspended so as to move gently with the wind."